Visitors to Houston may find it difficult to imagine the devastation in the city after Hurricane Harvey. It is tough to reconcile the images of catastrophic flooding with the seemingly operational buildings across Houston. But while the facades are recovering, there is a deeper damage that will take years to heal. There are few places this is better demonstrated than Downtown’s Theater District. The spirit of the Theater District’s resilience is one that garnered national and international attention. 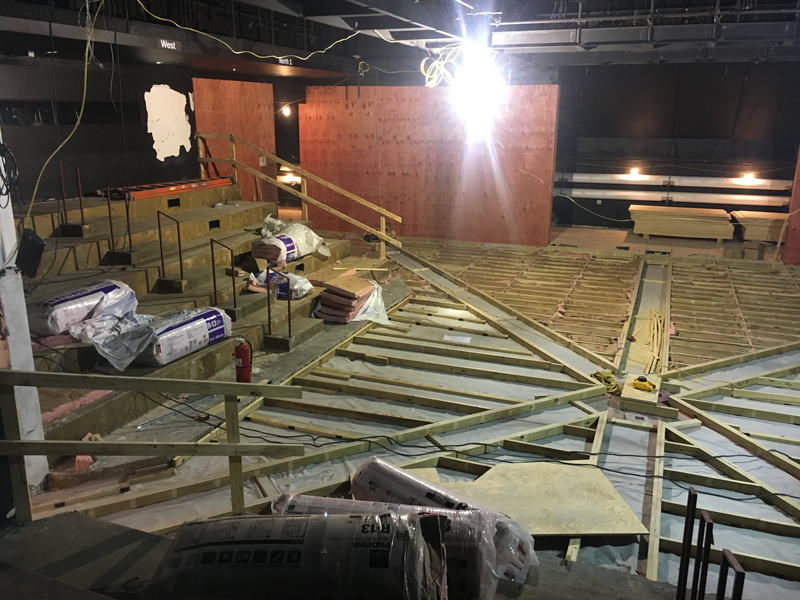 After Harvey struck, seasons were rescheduled, companies moved, and the Houston Grand Opera even built an entirely new temporary performance space. All of this is a testament to the enduring spirit of the arts organizations and Houstonians. But though the show must go on, and is, despite enormous challenges, the recovery is far from over. Collectively, the Theater District has never experienced such a massive disruption. The companies are still grappling with the total damage and attempting to figure out what this means for the area as one of the largest performing arts destinations outside of Broadway. Nearly half a year after the storm, many are still coming to terms with the destruction and asking questions. In the days and weeks after Harvey, Theater District companies waded back into their theaters to assess the damage. Jones Hall’s rehearsal room flooded. The Hobby Center experienced minor electrical damage, but made it through the storm mostly unscathed. Wortham Theater Center and Alley Theatre had the most visible damage, both taking on several feet of water. Kathryn McNiel, CEO of Theater District Houston, was among the first to venture back into the Theater District after the storm. She describes entering the decimated buildings with Perryn Leech and Dean Gladden, executive directors of Houston Grand Opera and Alley Theatre respectively. The group parked their cars a safe distance away and walked into streets still filled with water. “I didn’t have a clue what to expect,” McNiel says. First they went into the Alley Theatre. “We were relieved that the water hadn’t gotten to the glass doors and there didn’t seem to be water in the lobby area,” explains McNiel. But when they attempted to head downstairs to the Neuhaus stage, the group found their way completely blocked. “We were able to get to the top of the landing but couldn’t go any further. It was all water.” Later it was revealed that the structure had taken on more than 31 million pounds of water. The parking garages retained 270 million gallons of water. In an area with as much flooding as the Theater District, it’s difficult to imagine what might have happened had that water not been able to enter the underground parking facility. “Upon reflection it acted as a retention pool. Who knows how much higher the water on the street would have been if all that water didn’t go down into the garages,” McNiel wonders. Leech, Gladden and McNiel then toured the Wortham. The venue had clearly been battered but the true extent of the damage had yet to be revealed. In addition to repairing the mechanical, electrical, elevator, and air handling systems – many of which were in the flooded basement – contractors had to find temporary systems to prevent mold from spreading and install temporary power inside the building. Peter McStravick of Houston First, the company that operates Jones Hall and the Wortham, revealed that in the midst of all these repairs contractors identified wet and contaminated insulation behind wall cavities and inside structural steel columns in the basement – —all of which required additional demolition and disinfecting. Essentially, the more they fixed the more damage they found. Houston First maintains that the Wortham will reopen on September 1, 2018 – at which point it will have been closed for more than a year. McStravick, chief development officer at Houston First, explains “the sheer scope of work to get the Wortham back online is time consuming.” The venue is home to Houston Grand Opera, Houston Ballet, Da Camera, Society for the Performing Arts, and many others. It is estimated that the total recovery process could take up to three years. In addition to physical damage, each company experienced a massive business disruption. Not only were shows canceled and seasons hastily rearranged, but audiences were also shaken. Houston Grand Opera housed its offices inside the Wortham. In the absence of a suitable performance space, they quickly constructed Resilience Theater in the George R. Brown Convention Center. In spite of the obstacles to recovery, each theater company immediately set out to work, never hesitating to offer each other help. They shared office space, equipment and information to navigate the uncharted lands of insurance and disaster funding. 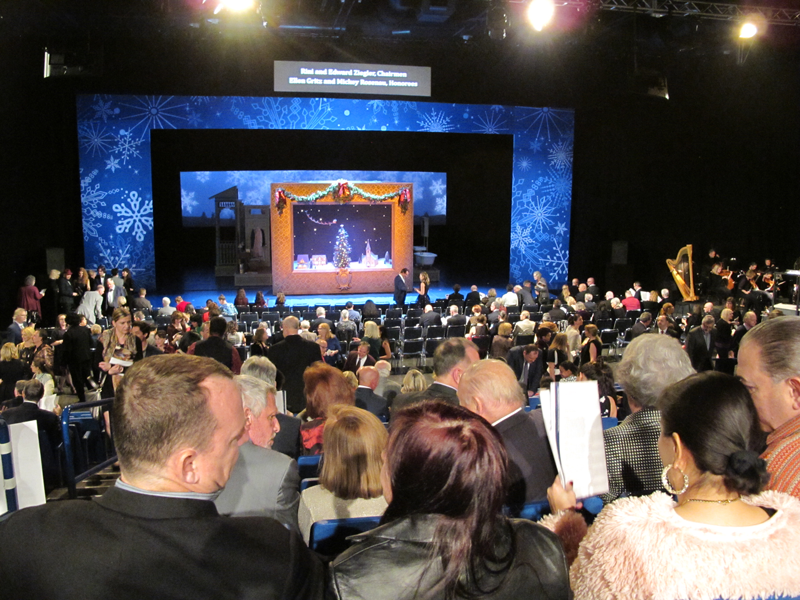 Alley Theatre, Da Camera, Houston Ballet, Houston Grand Opera, Houston Symphony, Society for the Performing Arts, and Theatre Under the Stars – —the seven resident performing arts organizations in the Theater District – banded together for a free benefit at Miller Outdoor Theatre. It was the first time all the groups performed together on the same stage. All funds from the benefit went toward Mayor Turner’s Harvey Relief Fund. The Theater District is close to Buffalo Bayou, so chances are this will not be the area’s last flood. But the performing arts companies cannot afford another disruption like this one – they won’t be able to bounce back. While recovery and restoration work are underway, Houston First is placing an emphasis on what can be done structurally to protect the Wortham. Houston First hired CSF Consulting Engineers, Inc., a forensic engineering firm to help determine how flood waters entered the building and what broad measures could be taken to help mitigate future flooding risks. McNiel believes an essential component to preventing a repeat of this disaster is keeping the damage at the forefront of local conversations. “I know that the mayor and his flood czar Stephen Costello are putting a lot of pressure on making sure the focus of fixing this problem doesn’t get lost,” she explains.